Classroom to Office... Are you ready for the transition? The unpredictable economy, coupled with the recent rising rates of unemployment easily could place a considerable amount of unease and anxiety on any recent graduate. Interestingly, there are two perspectives one can observe with the ‘Student to Corporate’ transition. While we have our fresh graduates ready to make the leap on one side; we also have the organisations or businesses on the receiving end, awaiting to welcome their eager young charges. How can the transition be made better, and the leap, a seamless one? In universities and schools, there are lesser hierarchies and relationships highly surround the lecturers, students and fellow course mates. In the corporate world however, interactions vary widely, ranging from professional to social. New employees have to get used to interacting with their direct supervisors or bosses, their new colleagues, customers or even external vendors and clients and vice versa. Being able to read personalities, body language and characters becomes a significant component in order to build rapport and develop long lasting relationships in the workplace. We have all been through the student phase before : Being in college or school can be said to be a ‘rite of passage’, a time to try different things, to be a little crazy or irresponsible. In the workplace however, acting unprofessional can get one fired. Professionalism also deals with being dependable and being a self-starter. On one hand, graduates have to get used to figuring out things on their own, and be seen as a team member who is reliable to complete tasks within given deadlines. On the other hand, organisations should be at a position to understand that a fresh graduate will never have all the answers and provide them with adequate time and space to grow. Just a job, or True Calling? 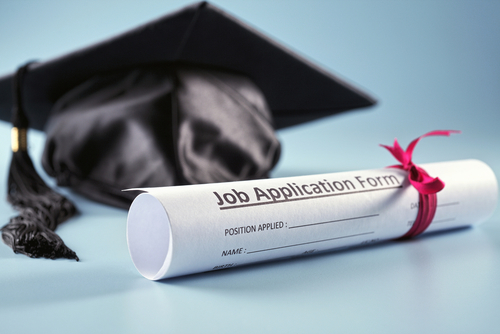 Many recent graduates panic if their first job after graduation does not fit their solid vision or plan of what they had in mind for their future career path. However, young graduates have to understand there is no need for alarm as sometimes, it take time to figure out what you want or what you aspire to be, and very often people change jobs and roles multiple times before they find their true calling. What’s more vital would be for graduates to keep track of their accomplishments and develop an awareness of transferrable skills you learn in your early career to apply to in future jobs. It is important for organisations to understand how to help their young charges fit in too. Many a times there can be misalignments between the young new employee and the company. One of the reasons can also attribute to the fact that organisations expect fresh graduates to ‘know everything’. One of the most overwhelming issues graduates face is that university life have not prepared them for challenges they face in the working world, and that itself poses a potential situation to address for organisations. Are you currently a fresh graduate looking to embark your career? Or are you a young job-seeker exploring new job options? Talk to us. With a combined experience of over 35 years in Tech recruitment, we help professionals at any stage entering the workforce. While our core focus is mid to senior level professionals, we as a business are expanding ourselves. We have many exciting opportunities for business minded graduates who are interested to learn more about Technology, Marketing and Sales. Did you miss out on what's big in 2018?